Until the first olive harvest it often takes six years or more. The harvest is usually in mid-October, or in some cases in some regions, carried out in March. 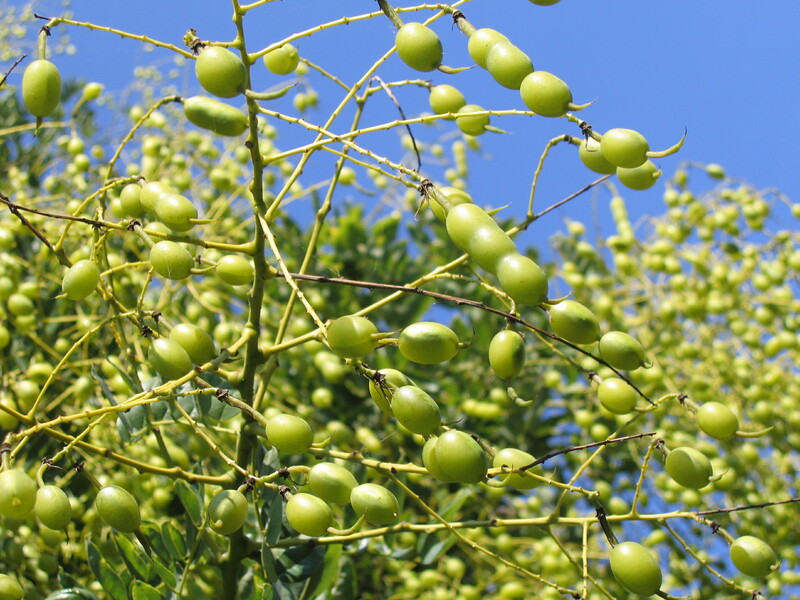 In some regions, networks are designed to collect the falling olives. In other regions they are traditionally harvested by hand or with a comb. Another method of harvesting is the cutting off entire branches. In this case, the olives are picked off and then directly machined. This method has two advantages. The trees cut back so that they have the optimum size again and the remaining wood can be used as firewood. Mainly produced from the olive fruit is olive oil for frying, cooking, and it is used as oil for salads and cold dishes like tomatoes with mozzarella and basil. Especially the high quality oil for the kitchen is pressed in the drip method. Then the oil is separated from the water. So it just need to stand for some time or it can be centrifuged. The second most common usage is to use the olive fruit as food. Directly from the olive tree harvested unfortunately barely edible. By immersion in oils and spices at the same time their natural bitterness an be masked. Then olives an be used in this form for bread, salad, side dishes or sauces and more. Especially in the Mediterranean kitchen is the olive prepared in many ways and is very popular. It's for example a long tradition that in any typical Italian bar olives (usually free) served as a snack with your drink. After the trees bear no more fruit, because they are unsuitable to age and food production, the tree is cut down and processed in the roots and the olive wood for making furniture, instruments, and as in our case, to kitchen appliances and other useful commodities. Because of this huge possibilities the extensive use of olive tree its high priority, especially in the Mediterranean region. In some countries it is still revered today as the "tree of life" and some culinary festivals are still celebrated in honor of this tree.